BRYAN EATON/Staff photo. 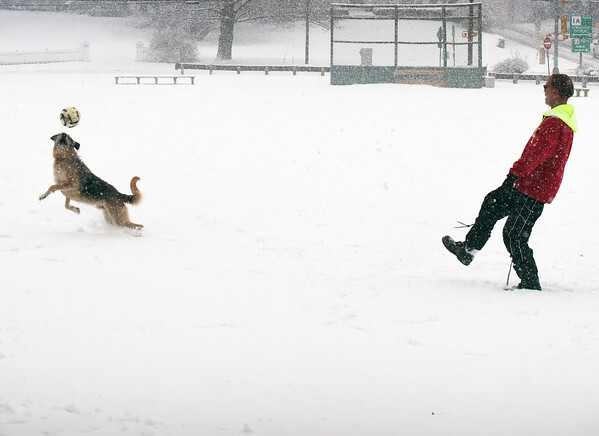 Mark Williamson of Newburyport plays ball with his dog Moby on Newbury's Upper Green at the height of Wednesday's storm. The skies are clear today with the temperature at about freezing.